Su’eddie Vershima Agema (Su’ur Agema) is a Development Worker, Editor, Cultural Enthusiast and Creative Writer. He is currently the President of African Writers at the University of Sussex, where he is a Chevening scholar studying for an MA in International Education and Development. 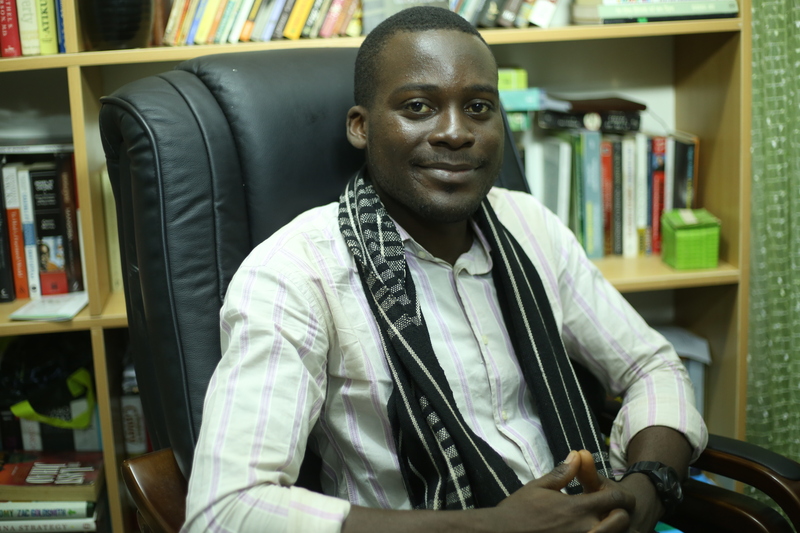 Su’eddie is the immediate past Chairman of the Association of Nigerian Authors, ANA (Benue State Chapter) and a council member of the ANA National Teen Authorship Scheme. He is also the Team Leader of SEVHAGE Publishers and its sister development organisation, SEVHAGE Literary and Development Initiative . Su’eddie has a passion for promoting Nigerian literature and has organised and facilitated several workshops on literature, creative writing, development and leadership for youths and teenagers. He is a traveller, loves making friends and loving. If he would let go of sentiments and literary commitments, he would write a hundred books in a year. 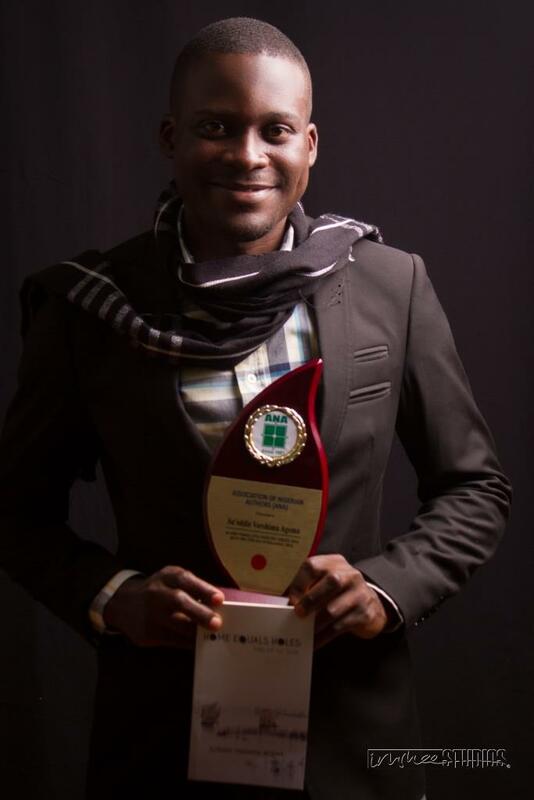 In addition to several awards, Su’eddie is listed on Nigerian Writers Award 100 Most Influential Nigerian Writers Under 40 (2017 and 2018) and was named as one of the Top 50 Contemporary Poets who rocked Nigeria in Year 2013 (also in 2014, 2015, 2016 and 2017). Su’eddie was Joint-Winner, Association of Nigerian Authors (ANA) Poetry Prize 2014 and shortlisted for the Wole Soyinka Prize for African Literature 2018 with his collection, Home Equals Holes: Tale of an Exile. He won the Mandela Day Short Story Prize 2016 with his short story, ‘Washing the Earth’. He is the author of BRING OUR CASKET HOME: Tales one shouldn’t tell (a collection of poetry hailed by critics as deep and pleasantly different) which was longlisted for the Association of Nigerian Authors Poetry Prize (2013) with the title poem, ‘Tales one shouldn’t tell’ shortlisted for the PEN Nigeria/Saraba Poetry Award 2013. His collection of short stories, The Bottom of another Tale was shortlisted for the Association of Nigerian Authors Prose Prize 2014 and Abubakar Gimba Prize for Short Stories 2015. His Once Upon a Village Tale was shortlisted for the ANA Children’s Literature Prize 2018. LITERATURE: LIFE: LOVE: DEVELOPMENT: POLITICS: …. Please you made a comment about my story THE IDENTICAL TWINS. You also showed interest in having my email address. I have supplied it. I look forward to hearing further from you. Thanks for finding time to read my stories. I am the author of THE IDENTICAL TWINS. PLease find below, my email address which is kencel27@yahoo.com to get in touch with me. Nice one Eddie. it’s good to see u do what u know how to do best. Unfortunately, I didn’t have time to go thru ur articles but hope to do so at a later date. Keep it up! Hello Su’eddie. I have taken your advice you left on my ‘The thought process & the Mapuches’ and have started dividing up the information I am adding onto the blog to keep it a bit short. Thank you for reading and if you find any spelling mistakes or if you think I can express something in a better way, please let me know. I read that your make comments on political issues. Well, the work I am writing about is quite political, but it will be a ceramic artwork. I think that in the art world we have a special licence to express political issues and be in a safe platform. LOTS for me to read here. Thank you – back soon. C’mon!!! Of course, yes!! Running there now! …You gat gold in them tips bro..welldone! Thank you, really much…Doc 😉 Means much. Yay! Where may i send them to? Still waiting to hear from you… Hi Tokoni. How are you? Your blog contains only serious literature. Lol. I didn’t hear frm u again so thought to look for u all round. We are on you already so maybe I should offer a virtual hug of welcome to my humble abode? Hello sueddie, its through surfing the net for the content on Chinua Achebe, i came across your blog. stopped by rather you forced me to stop at your blog and felt very happy for reading a few of your works. you are doing really a commendable job for the pals of same sort those who wish to bond together with common motive…..to share and benefit. well i chose “Chinua Achebe and his 5 Novels” as my research topic. I am from India particularly from Andhrapradesh a state. I don’t get momentum for completing it but problem lies on my side. well now in the renewed interest after knowing your blog, i wish i could complete it.I could access a few thesis written on Chinua Achebe’s Novels, and yesterday an idea blinked which is the reason why i am writing this..
As you want people around to know what true Nigeria is and the works of your people… sharing the same in more detailed manner would help me to get a better glimpse of Our man Achebe and helps me in completing my research. Hello Usman. Nice to make your acquaintance. Sorry, I don’t really have a title to match yours but, I am Su’eddie. 🙂 What in particular would you want me to do for you? I have also sent you a mail with this same question. Let me know so we can see what we can do. Greetings.